There a super HOT ticket in the Valley this weekend. 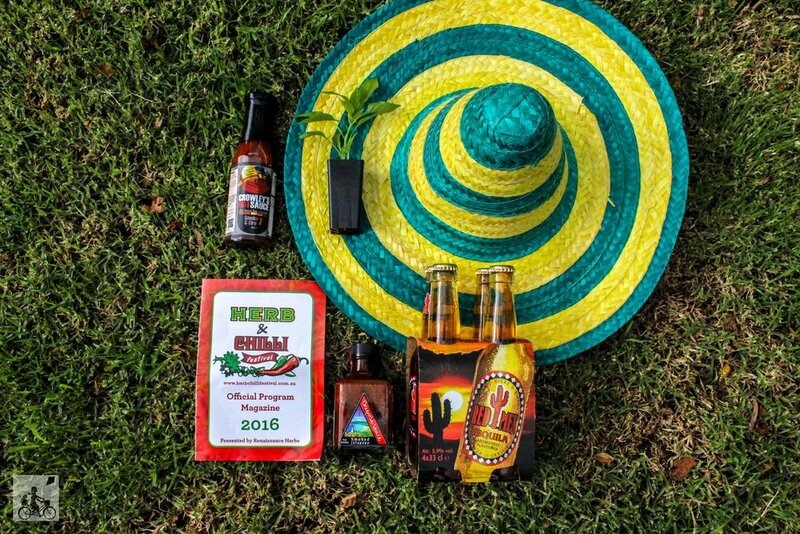 The Herb and Chilli Festival is a weekend long festival celebrating that fiery little beast plus a little more. In past years Mamma has spotted chilli plants, chilli sauce, chilli chutney, chilli ice-cream, chilli beer, chilli dim sims and chilli coffee. We sampled all the offerings along Hot Sauce Ally and watched how the masterchefs do it at the live demonstrations. There is plenty of variety at the food stalls and not all are eye-watering-hot. There is also a great kids zone at the end of the festival trail. It is not a festival without outrageous hats and in the past you got to take home your very own plant at the end of the day. Fingers crossed we won't see the rain and mud of 2016 OR a van fire of 2017 BUT the festivities continue at high heat in 2019! Mamma's special mention: This year there will be a huge KidZone with a jumping castle, pony rides, face painting, petting zoo and photo points! click here for more great markets and festivals in the East.